When I signed for Celtic in the early days of January 1965, I was halfway through the fourth year of a five-year course in dentistry, so my training had to be undertaken in the evenings with the rest of the part-timers. The training itself was pretty basic and consisted of us running round the track which surrounded the Parkhead pitch at that time. We never got any ball-work; as those in charge used to say “you’ll get plenty of that on a Saturday”. In charge of the squad was coach – and former player – Alec Boden, who had been a PTI in the forces during WW2. He stood at the foot of the tunnel and barked out the instructions, which never varied, night after night. Run 2 laps, walk a lap; run a quick lap, walk a lap; run 4 sets of 220 yards, walking the other 220 of a lap; run 10 x 100 yards down the straights, walk the bends; then finish with 4 laps of 50 yard sprints followed by a 50 yard walk. As the only lights were those suspended from the under-side of the main stand which solely illuminated the home straight, you can imagine that we all went a good deal slower down the back straight – where Alec could not see us – than the one nearest him. 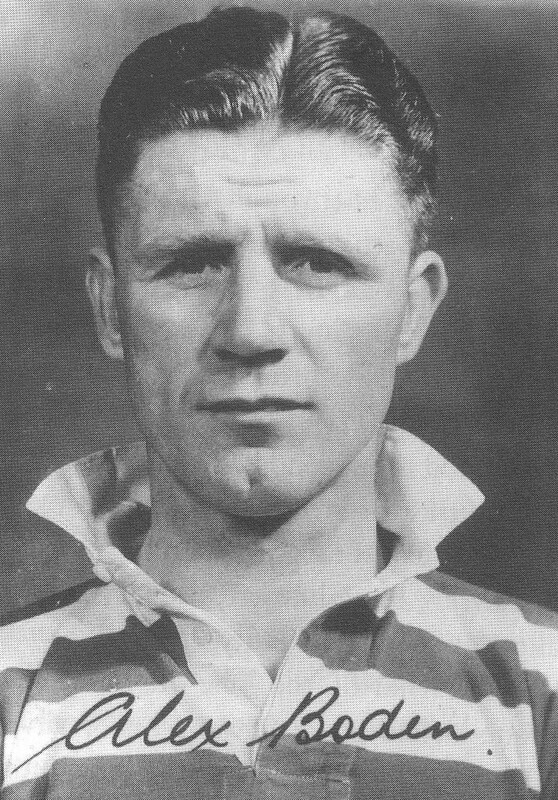 In overall charge of the part-timers was John Higgins, a nice man who had signed for Celtic in 1950 but only became a regular in the League/Scottish Cup ‘double’ season of 1953/54. A right-winger, he became Willie Fernie’s partner and soon showed that he could score goals. 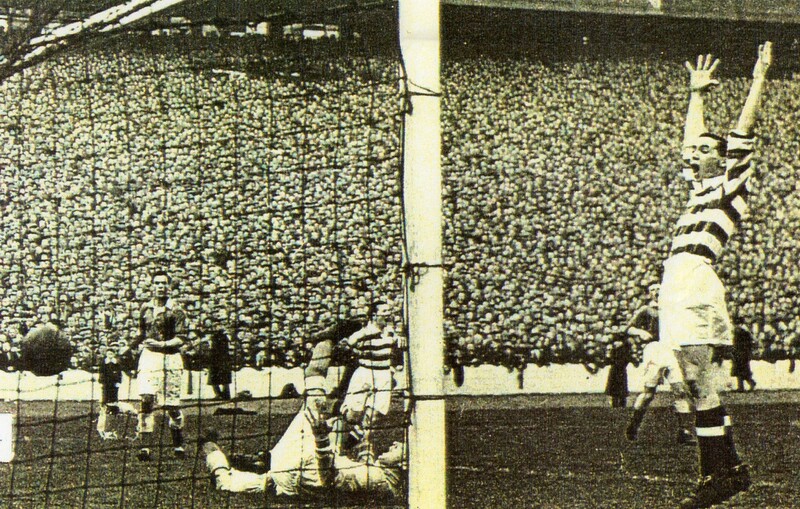 John sealed the League title with a diving header against Hibs at Easter Road on 17th April and on the following Saturday had a fine game against Aberdeen in the Scottish Cup Final. Unfortunately, injuries began to take their toll, particularly affecting one of his knees. He missed most of the next two years, made a comeback of sorts in 1956/57 but only managed two matches on the American tour of 1957 and then suffered another relapse in the Public Trial just a few weeks later. All in all, John made 84 appearances for Celtic, scoring 40 goals; he then took over as Celtic coach from 1961 to 1967, before becoming Chief Scout from 1967 to 1975. On this day in 1994, John Higgins died at the age of 61.